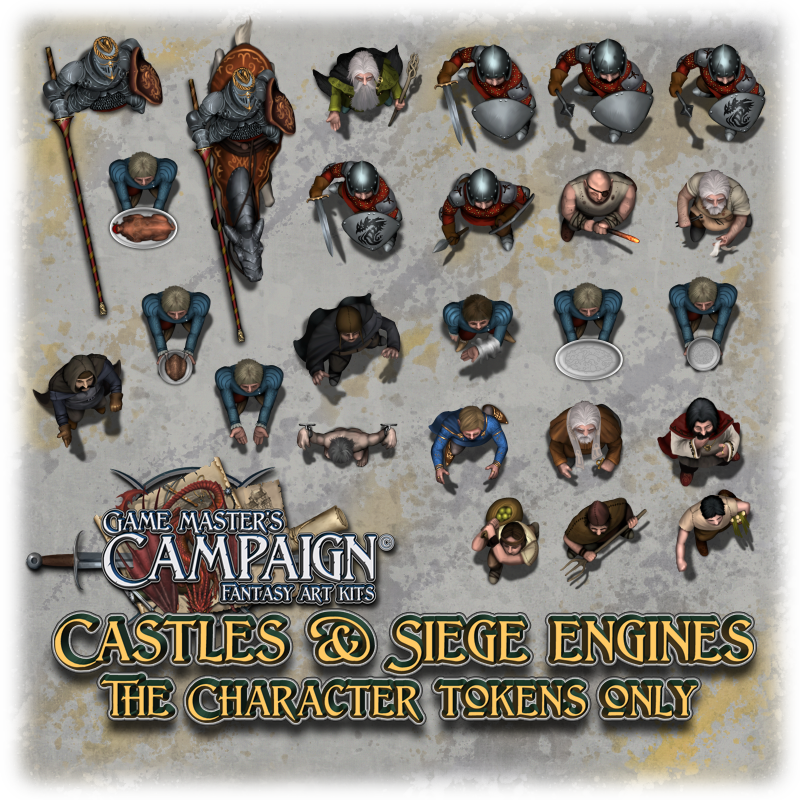 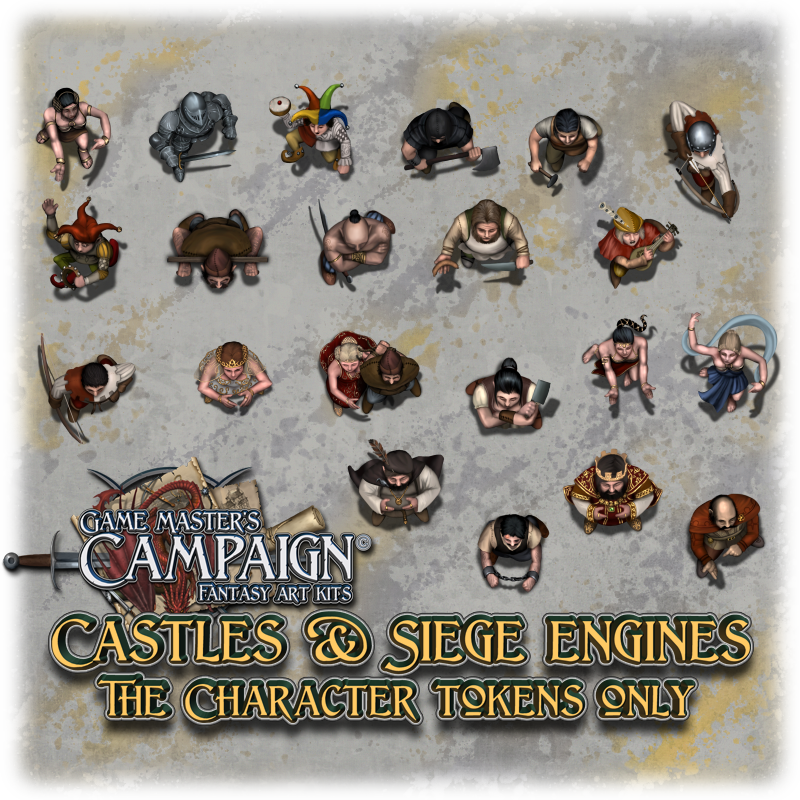 This kit contains all the character tokens normally found within the Castles & Siege engines addon art kit, no other art files are found in this kit. 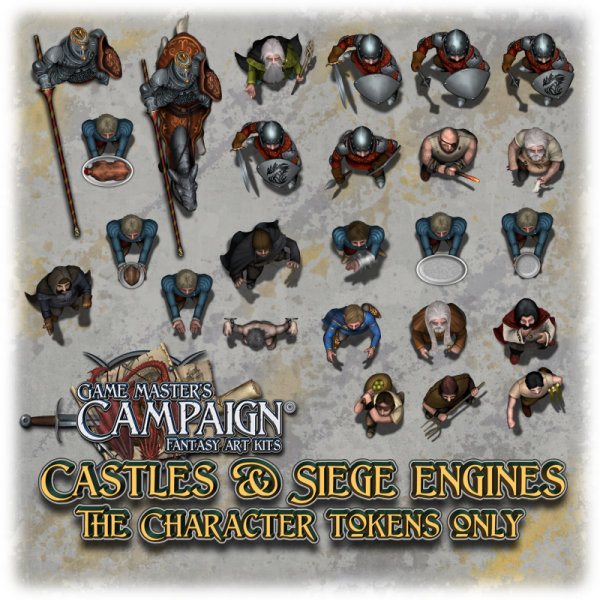 All files provided in 3 scaled size: Fullsize, Halfsize and Quartersize. 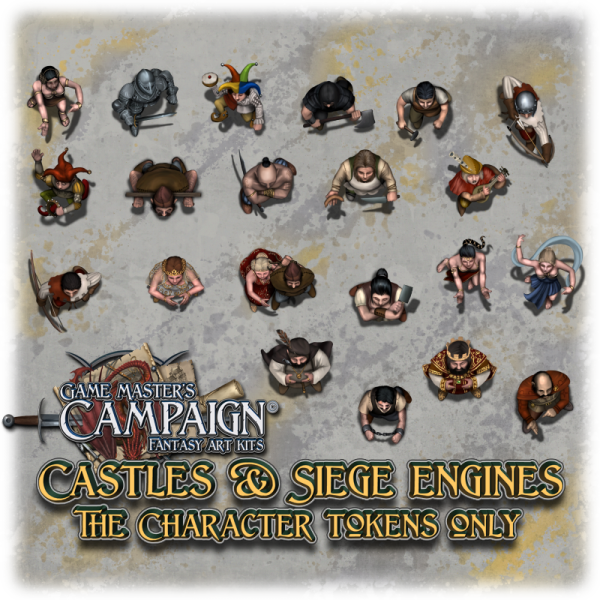 This purchase is for a digital download of several images, approximate size is 11 Mb in a zipped file.